Due to our remote location, there is no radio, television, cell phone service or internet access at the Roadhouse. We have a satellite pay-phone available on the property for outgoing calls. This is truly your opportunity to un-plug and experience a few days of peace and quiet while you explore the Alaskan Wilderness of Denali National Park. Let your friends, family and important business contacts know that you will be “out of cell phone range” for a few days while you immerse yourself in nature! 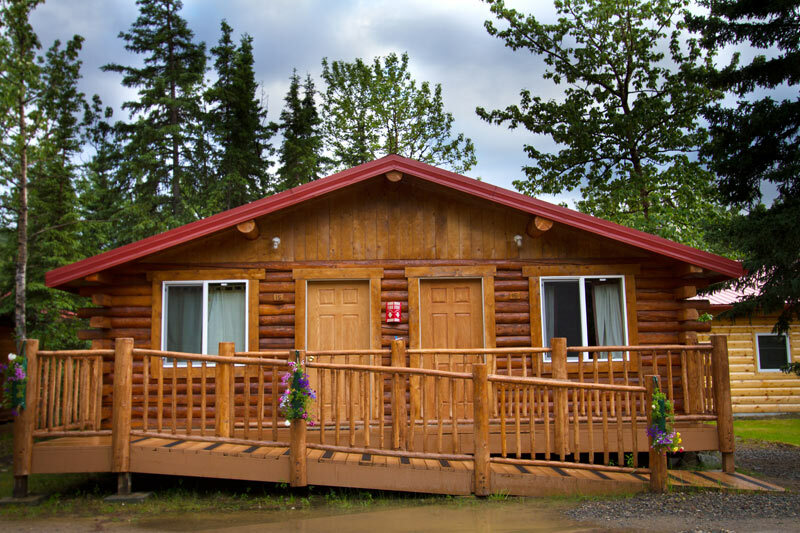 The Kantishna Roadhouse features comfortable cabin accommodations that offer all of our guests a cozy and authentic place to stay in Denali Park. 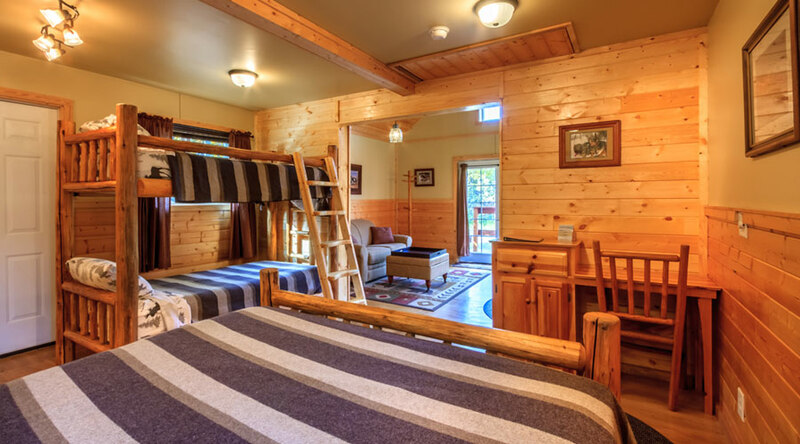 After a day of exploration and adventure or just relaxing around the Roadhouse, our guests enjoy a good night’s sleep in a cozy cabin with all the amenities you’ll need on your Denali Park vacation. 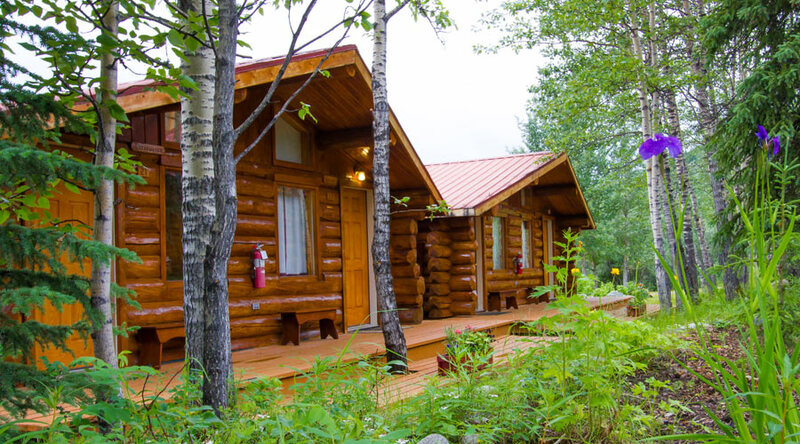 Our spacious grounds allow guests easy access from their cabins to all of the property’s amenities, social and dining areas while maintaining our beautiful Alaskan wilderness setting. It’s easy and convenient to get from your cabin to the Roadhouse for meals and social areas, as well as to our guided and self-guided activities. Kantishna Roadhouse aspires to be considerate of the environment. Electricity is produced on-site by a 100kw diesel generator, making electricity a precious commodity that must be carefully conserved. As such, electrical appliances such as hair dryers, coffee pots, irons, and electric alarm clocks are not provided in the rooms. Battery operated alarm clocks are available at the front desk – just ask! Musher’s Cabin is a quaint option for families and small groups looking for comfortable, private lodging in the Denali backcountry. Guests staying in Musher’s Cabin are provided with the same all-inclusive activities and dining options afforded to all guests of Kantishna Roadhouse. 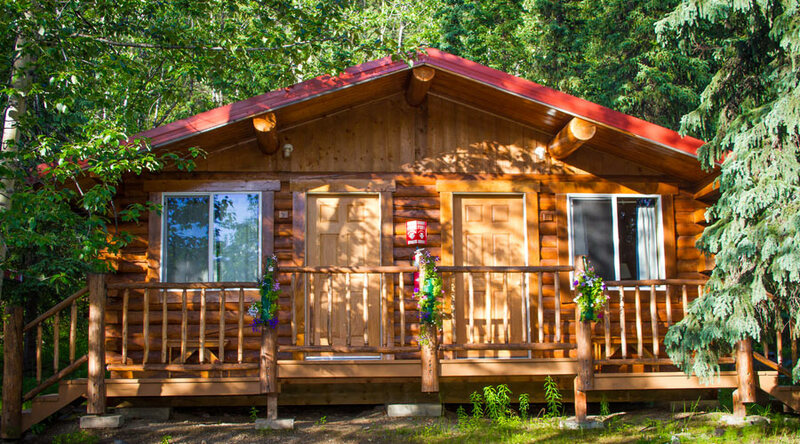 The cabin is located on the Kantishna Roadhouse property, with a scenic view of Moose Creek. For groups of four to seven. Limited availability – please inquire about specific dates. For guests with special mobility needs, Kantishna Roadhouse has two fully accessible cabins outfitted with ramps for easy entry. 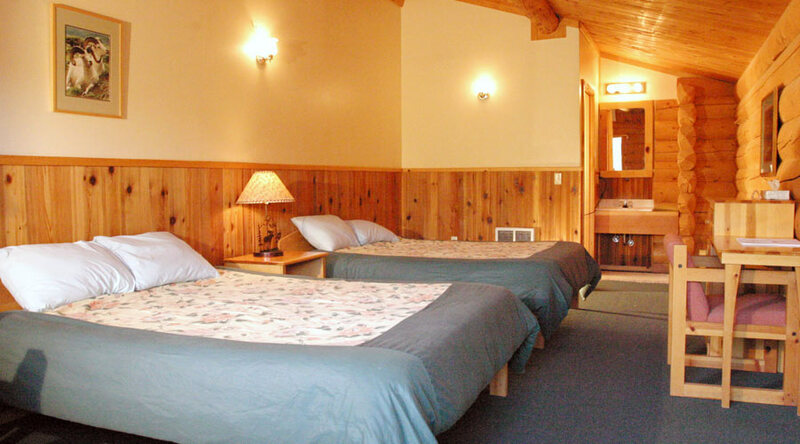 One of these cabins has a king sized bed, and the other features a queen sized bed plus a twin. Both feature accessible showers and a larger floor plan than our other cabins to make them easy to navigate for guests traveling with a wheelchair or scooter. 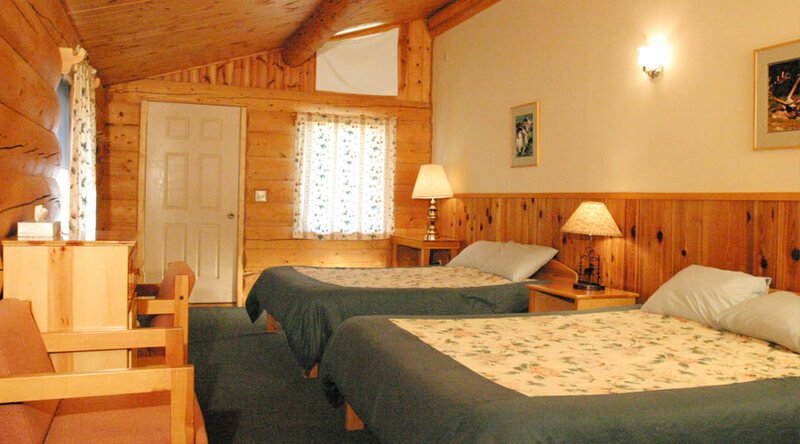 These cabins are located very near to the main lodge building and are a good choice for guests with limited mobility.